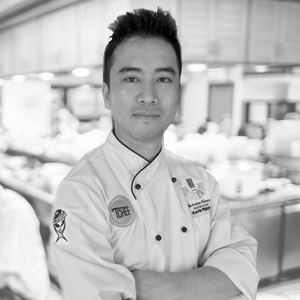 After graduating from The Professional Chef College in Shanghai with systematic technique training, I went on to study nutrition. I became a teaching assistant and lecturer for over 2 years at chef school following graduation. 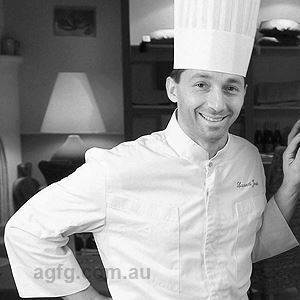 Together with my team, we achieved outstanding results at the 1997 World Cooking Competition. 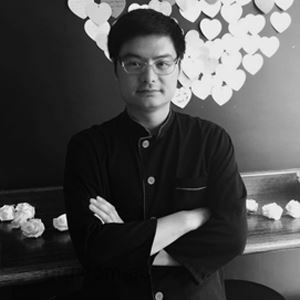 Being a certified top chef of Chinese food, certified international Nutritionist, and award winner of various skills and technique competitions, I have serviced Shanghai starred hotels for over 5 years. I am a fine-food lover and have always dreamed about being an outstanding chef. China is a country with traditional cuisines and technical requirements of which are very strict. By bringing out the best nutritional essence of the food materials, more and more diners can enjoy and appreciate our Chinese food with very special flavors. I like to keep to the traditional Chinese food flavours, in combination with the typical food flavours from different places, the exquisite plate art of western food as well as the modern day diet. During the special season of Christmas and Chinese New Year, I will introduce a series of dishes based on seafood with Chinese characteristics. 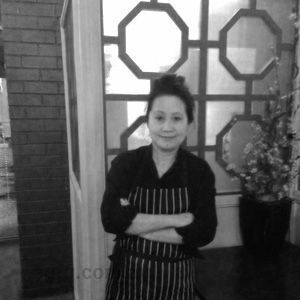 While adhering to the characteristics of Shanghai cuisine, I use special cooking methods and techniques in preparing these dishes so that our overseas Chinese will inevitably recall the flavours of their hometown and at the same time our local diners can appreciate our Chinese culture. The unique charm of Chinese food comes from its taste. And the finest tastes originate from the finest harmony of flavours. Bearing in mind the concept of a healthy diet, I hope I can put together the six elements of colour, shape, aroma, taste, nourish and nutrition. I promise our diners that they will get comprehensive enjoyment of sight, the touch and the taste of our dishes. All such endeavours will result in forming the Chinese cooking characteristics with charming taste at the core, keeping good health as the purpose, and introducing the Chinese traditional and innovative cuisine to more exotic diners. The combination of Chinese and western and the continuous innovation to create new flavours of Chinese food. Gongfu tofu, rose bean curd, steamed Barramundi with red hot peppers and crispy duck. The Crab Feast, which will be introduced during the Chinese New Year. Experience the flavours of Shanghai dining at Memory Restaurant just out from Melbourne’s city hustle and bustle on Toorak Road in South Yarra. Guests can be forgiven for thinking they have made a fast journey to China, immersed by a red and black themed interior with Asian silk cushions, intricate, gold trimmed adornments and tasselled lanterns, warmed by ambient lighting for intimate dining occasions. Artistically presented meals are sure to please the palate, with an extensive menu providing plenty of flexibility for even the most selective eaters. Flavoursome options may include soups like the Kung Fu tofu, or the duck soup with fried bamboo shoots and ham while mains such as stir-fried beef remain popular dishes, with black pepper sauce served on a sizzling iron plate.